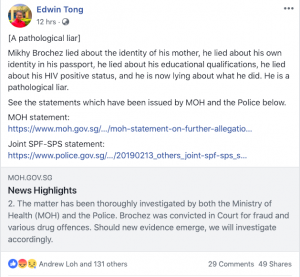 The US citizen in the center of Singapore’s HIV patient’s data leak scandal wrote a series on claims on his Facebook page on Wednesday, February 13, denying much that has been reported about him in this country. This has prompted Senior Minister of State Edwin Tong to call Mikhy Farrera Brochez a ‘pathological liar’ on his own Facebook page, listing a series of falsehoods that Brochez has said. On his Facebook page, in posts that have since been deleted, Brochez made allegations that he had been sexually assaulted while incarcerated in Singapore. 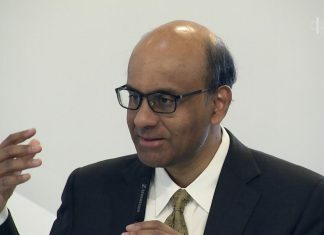 He also said that medical treatment was withheld from him and that he was actually coerced into entering a guilty plea in order to receive treatment, among other accusations. Senior Minister of State Edwin Tong echoed a sentence from the joint statement of SPF and SPS on his Facebook account late on Wednesday night. Brochez had alleged in one post that it was Leong who had provided him with the names of the inmates who are HIV positive and that Brochez took this list with him after he was deported in April 2018. 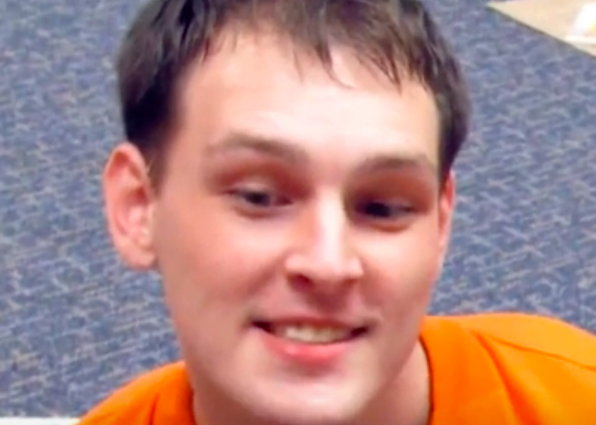 The American called Leong “overly stressed from all the political pressures on him.” Furthermore, Brochez claimed that Leong told him back then that Brochez was not HIV positive after he had taken a blood test. Leong answered that the copy of the HIV Registry has never been in his possession and that he is forbidden from passing anything on to the patents that he treats, due to the “very tight security” of the jail system.